Every man has heard of cufflinks, in fact, most men utilize this great fashion statement on a regular basis. What many men aren’t aware of, however, are tuxedo studs. Take a look at the down-low on tuxedo studs and some of the great products available for a very fashionable male. Tuxedo studs add extra flair to a common tuxedo shirt. While tuxedos are classically reserved for formal affairs, tuxedo studs complete the classic and formal look on any man. Most tuxedo shirts are made with two sets of holes. The more inward holes are typically known as the “Stud holes.” The outer set of holes are usually common buttonholes. Once you’ve completed this process, button the rest of the shirt utilizing the innermost holes, on tuxedo shirts with two sets, and on the outermost hole, fashion the tuxedo stud, and place the loop of the stud around the button. 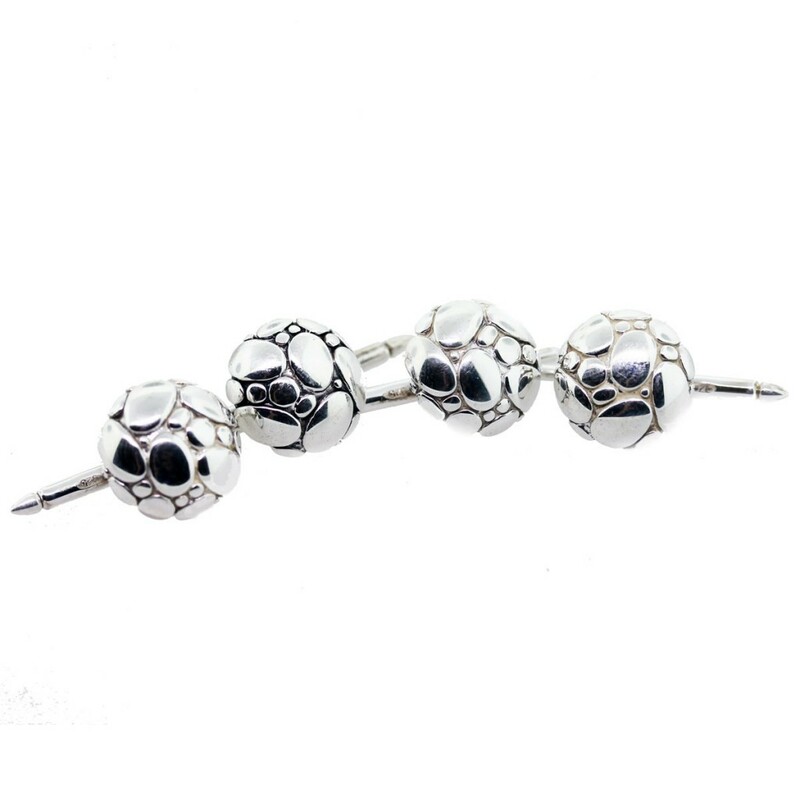 View more information about these fantastic Sterling Silver Tuxedo Studs. Tuxedo studs add a classy touch to an already formal outfit. Hide the regular buttons with a set of classy, elegant tuxedo studs.